Once you’ve laid the track it’s very tempting to just jump in and start ballasting. However there are loads of little details you need to work on before that can happen. 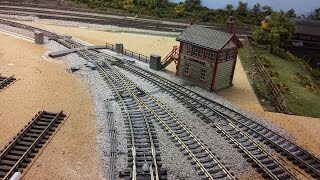 In this video I start work on the details and also get some ballasting done.